It's time for more Muppets suckas! Task One is adding three more of your favorite characters to his Pillaging Pop Culture series this Sunday, April 7th, at 4pm. 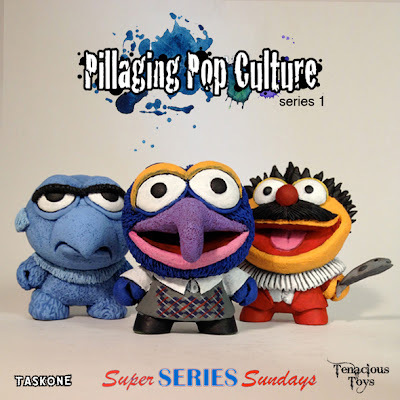 They are of course part of an ongoing Super Series Sunday feature that Tenacious Toys has been doing to offer up the best in hand crafted figures. You should all know how this works by now. Get one blind box for $40, all three toys for $100 or the entire 18 piece series plus chase figure for $600. It's the best way to spend your tax return!